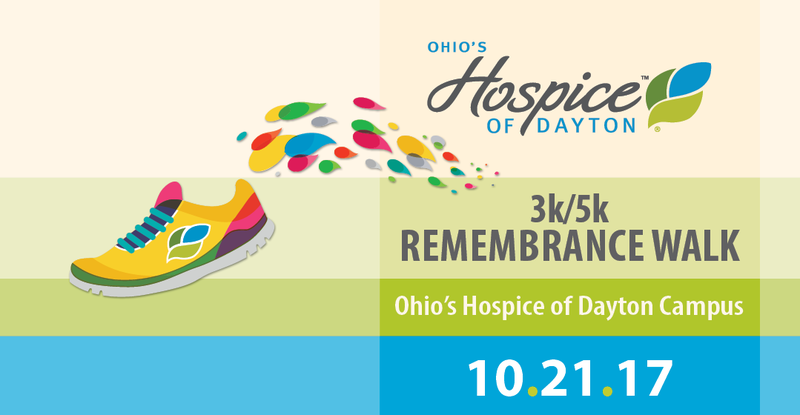 The Ohio’s Hospice of Dayton Nursing Honor Guard was privileged to pay tribute to and celebrate life with Jean Hosmer and her family during recent ceremonies. Members of the nursing staff joined recognizing Jean for her commitment to a career of caring for others. 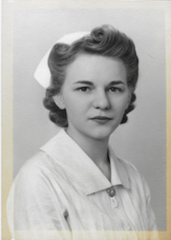 “Jean” (Gatchell) Hosmer graduated from St. Luke’s School of Nursing, Cleveland, Ohio in 1943. 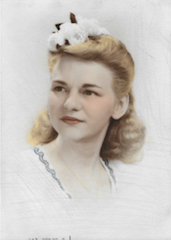 Three years of intensive training including classes in biology, chemistry, anatomy, pharmacology and nutrition as well as clinical experience in operating room technique, pediatric, obstetric, psychiatric, medical and surgical nursing prepared her well for her career as a registered nurse. 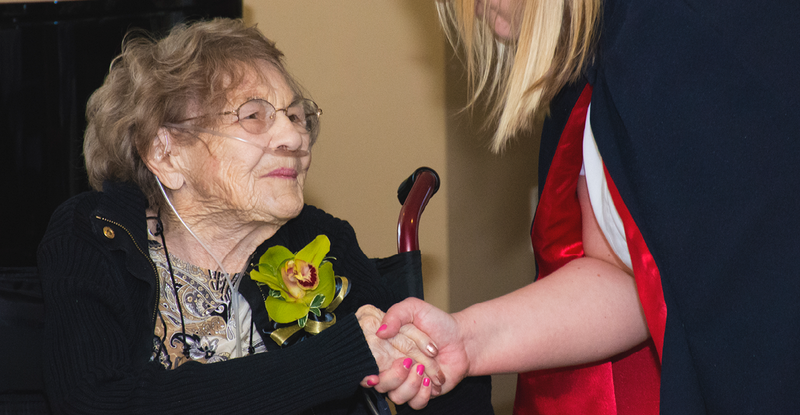 At the age of 95, Jean still remembers her three months of training in Pediatrics at Cook County Hospital in Chicago. The students were presented with many challenging cases, including a small child that came to the ER requiring major surgical repair of an untreated rate bite that left her with an open split from her lip to her nose. What appeared at first to be a little brunette girl turned out to be, after all the nurses attended to her hygiene, a little blond with the most beautiful golden hair they had ever seen. A four-month affiliation at City Hospital in Cleveland in Contagious Diseases, Psychiatry and Tuberculosis led to more eye-opening experiences, including her own roommate contracting TB and needing to be transferred to a TB sanatorium. Jean recounts how she did not eat beef ribs for a long time after witnessing the surgical removal of tuberculosis patients’ ribs, a common practice during the forties in order to collapse a lung as part of the disease treatment. After g raduation, Jean and several nursing school buddies took a trip to Florida. The nurses joined some officers on leave from the Army Air Corp on a group date, ending up at a dance where Jean, at barely five feet tall, was paired up with the shortest young navigator. He turned out to coincidentally know one of her fellow nursing friends back in Ohio. Soon they discovered they had many common interests as well. Rowland “Ozzie” Hosmer was also from northern Ohio, so the couple were able to continue their friendship back home. Jean and Ozzie eventually became engaged and were married when he returned from overseas. unit at Fairview Hospital in Fairview Park, Ohio. Balancing her nursing career with her responsibilities as a mother of three daughters, she chose to take time off when the kids were young, but always returned to work each time one of the girls was in college. Throughout her career she worked on every floor in the hospital, in all of the various services. 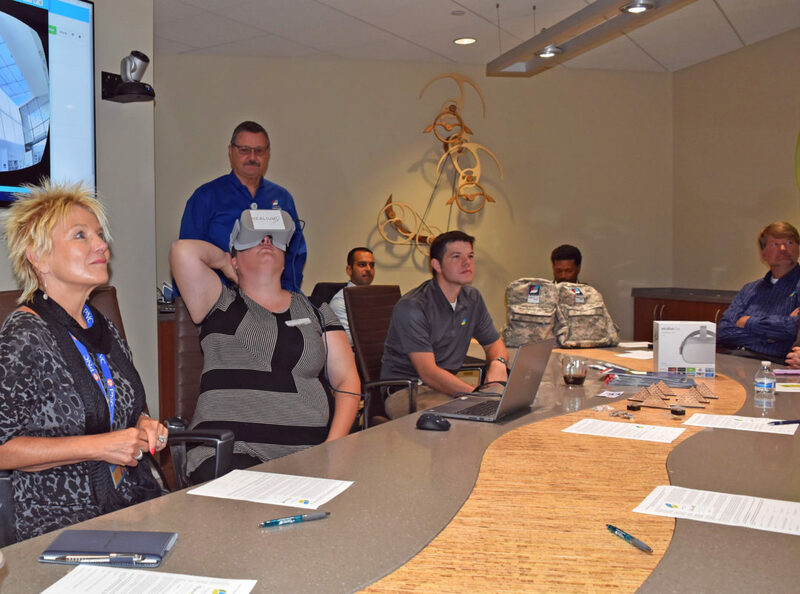 Jean preferred the medical floor and extended her commitment to the caregiving field by volunteering in a program that offered aid to disabled children. Additionally, she provided grief counseling to others as a trained Stephen’s Minister following the death of her husband, Ozzie. 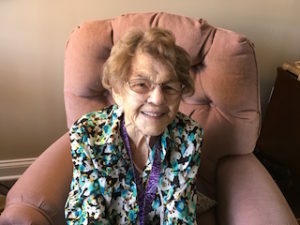 Jean also spent several years nursing the elderly at The Welsh Home facility in Rocky River, Ohio, where at that time, Welsh heritage was a requirement for residency. She fondly remembers the tasty Welsh cakes that the visiting board members would bring with them from Wales. Jean still tells the tale of losing her Welsh Home nametag in the snow on a visit to a nearby mall one day after work. An entire year later she was walking through the same parking lot, which was a muddy mess from construction, stepped on something hard and when she looked down discovered her pin – with her name still legible. 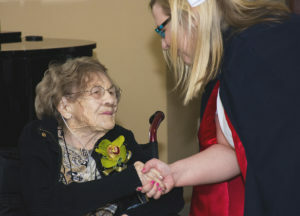 Jean witnessed a multitude of changes in medicine and technology in her career that spanned from 1940 to 1979. She attributes the invention of the heart/lung machine as contributing the most to the advancement of medical care during her lifetime.